Shortly after he started playing with his first group the "Excess" playing covers and composing his first hard rock songs. 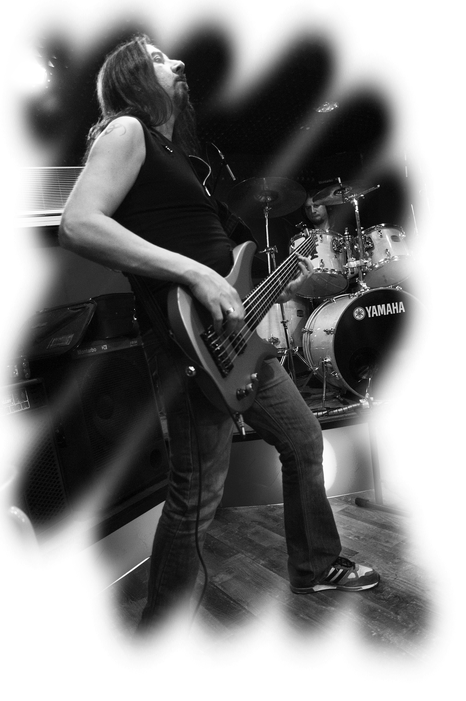 He has played in bands covering various genres which range from Italian music to classic metal and also progressive. He played a number of live dates in and outside of Rome gaining a great deal of support, meanwhile, he began studying 5 and 6 string electric bass. In 2005 he performed at the Olympic stadium in Rome. In December 2007, he joined the heavy-metal band Reapter , finally having found a group with excellent songs with whom he could develop his good and compact sound. In 2009 he won the award for best bassist at the Italian emergence festival held in Milan. Currently uses almost predominantly the 6-string bass. Favourite bassists: Steve Harris, John Myung, Jaco Pastorius, Patitucci, Roger Glover, Geezer Butler, Thomas Miller. Influences: Iron Maiden-Symphony X, Dream Theater, Blind Guardian and all seventies hard-rock. Washburn Mercury series custom 4 string. Yamaha RBX 375 black 5 strings. Yamaha RBX JM2 inca silver 6 strings. Amplification: Marshall MBC 410 4x10 600W, Ashdown. Sennheiser Freeport Wireless Instrument Set.